Mitchell joined the Qatar faculty after completing a Ph.D. in rhetoric at CMU in 2013. He has taught introductory courses in academic writing and argumentation, style, writing in the professions, language and culture, and discourse analysis. Mitchell is currently pursuing two lines of research: one focuses on the relationship between discourse, identity, and place; the other focuses on academic writing development. These two lines of inquiry are linked by the methods he uses—ethnography and discourse analysis—and by the multicultural contexts that are significant to each. Two broad questions inform his research: What is the role of rhetoric in representations of place and place-based identities, especially when particular meanings about the same place are contested due to place-change brought about by multiculturalism? How can close linguistic analysis of academic writing inform pedagogy that leads to improved literacy development among linguistically and culturally diverse students? Mitchell, T.D. (2010). “A Latino community takes hold”: Reproducing semiotic landscapes in media discourse. In A. Jaworski and C. Thurlow (Eds. ), Semiotic Landscapes (pp. 168-186). London: Continuum. Mitchell, T.D. Shaping Sense of Place. Pessoa, S., Mitchell, T. D., & Miller, R.T. Emergent arguments: Student challenges with meeting the linguistic and generic expectations of argument genre. Mitchell, T. D. & Pessoa, S. A functional approach to student writing development of the argument genre in history: A case study of a novice and an experienced student writer. Pessoa, S. & Mitchell, T.D. Scaffolding the writing development of the argumentative genre in history: The case of two novice writers. Pessoa, S., Mitchell, T.D., & Riley, B. Scaffolding the Writing of Argumentative Essays in Functional Approach. Thompson, M. & Mitchell, T.D. Teaching the college application essay in a global context. Pessoa, S. & Mitchell, T.D. (Fall 2015, Fall 2016). Global History writing workshop series: The stages and language of argumentative history writing. 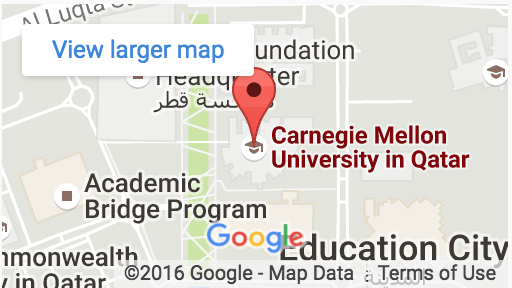 Carnegie Mellon University. Doha, Qatar. Pessoa, S. & Mitchell, T.D. (Fall 2015, Fall 2016). The Designed World writing workshop series: Unpacking prompts and addressing expectations. Carnegie Mellon University. Doha, Qatar.